The Things we do at the shop. Here at Nostalgia Speed And Cycle, we always try and cover all styles of motorcycles and Hot rods etc and want to offer a vast amount of Parts, service, specialized Products and Apparel. 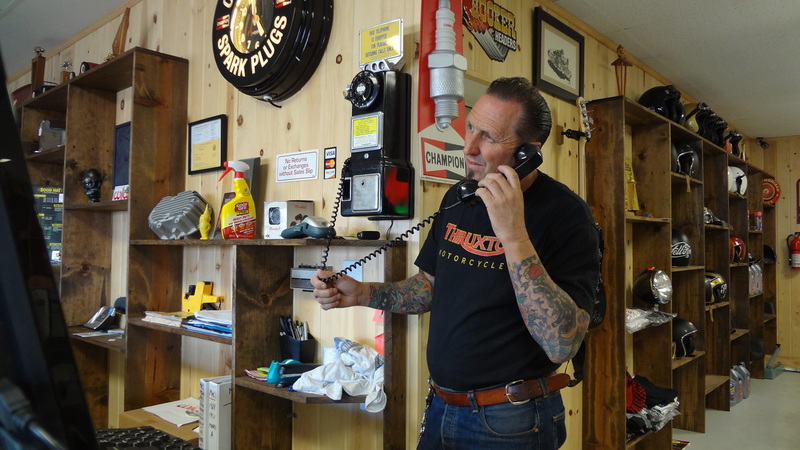 We strive to make our customers happy and the visit to our Speed Shop and enjoyable one. From A Finned Small Block Chevy Valve cover, to a complete rolling Deuce chassis, we supply all that you need for your project, and, if we havent got it, by golly we shall do our hardest to try and get that part for you. Also, we are the Number 1 dealer in the World for the Cafe Racer motorcycle’s, be it a set of Clubman handle bars, to a full blown Cafe Racer machine. We are now creating a huge inventory of parts for the HONDA CB750 of which I am known for, but also we are making parts for the good old 883 Sportster Harley, so stay tuned on the website for more cool products, as I add stuff all the time.